Discussion in 'Gambling News' started by Marina, Jan 3, 2015.
and reliable source of information. This has really hit home, as it was recently uncovered that numerous sites across the net have been hacked, for the purpose of quick cash. Bonus Paradise has been spared from it, and the information contained within its pages remains reliable, but many websites that are not forum-based can no longer be trusted for dependable data. If you have a few online casinos that you routinely visit, you may not have seen this disturbing trend. However, if you do a search for almost anything related to them, you’ve probably been hoodwinked. 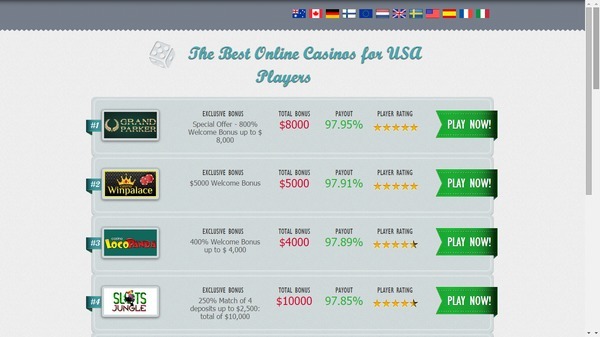 Innumerable websites have been loaded with false information, which takes you directly to a casino directory. For instance, using Google to search for “dance themed online slot,” calls up numerous responses. At a glance, these appear to be legitimate listings of games. Not only do the words sound like you’ll land on a casino game page when you click, but they’ve gone the extra mile by making reviews appear. In any case, the appearance of the page will match the one shown here, though the list of casinos and the title will change. but a person won’t ever see. This process is called “cloaking” and reputable search engines not only frown upon it, but they will often remove an entire website from their listings if they see it’s happening. So, all those phrases you see on the Google list image, like “no deposit bonus codes” are hidden in the source code of the page. gotten in and added pages. It’s also wise to keep all plugins updated, as security patches are routinely added. provide him a kickback every time someone clicks on a casino link or registers an account with one of the listed casinos. If this is the case, his hacks are purely financially motivated. avoid the hacked sites once you’ve found one, and for website owners to be vigilant. Again, Bonus Paradise is not affected by this hack and all content on this site is secure as well as reliable, as it has only been added by members and administration. OMG I have seen so many hacked search results in Google. It is just incredible! Thank your for this wonderful informative post Marina. Really informative for our members. I know you take many steps to make sure Bonus Paradise is secure and that our content isn't stolen. Online players really need to be extra careful nowadays. Too much hacking and stolen information is going on. Even with the rogue websites and casino's. Online players beware and cautious.